These yummy potatoes will go perfect with my Easter Ham. This rich and creamy potato dish bakes up in about an hour and is absolute cheesy goodness. I like to use Yukon Gold potatoes sliced into thin disks that I have already boiled tender for about 10 minutes. The mixture of cheddar and Gruyere cheeses melt beautifully together and complement these golden potatoes without being overpowering. 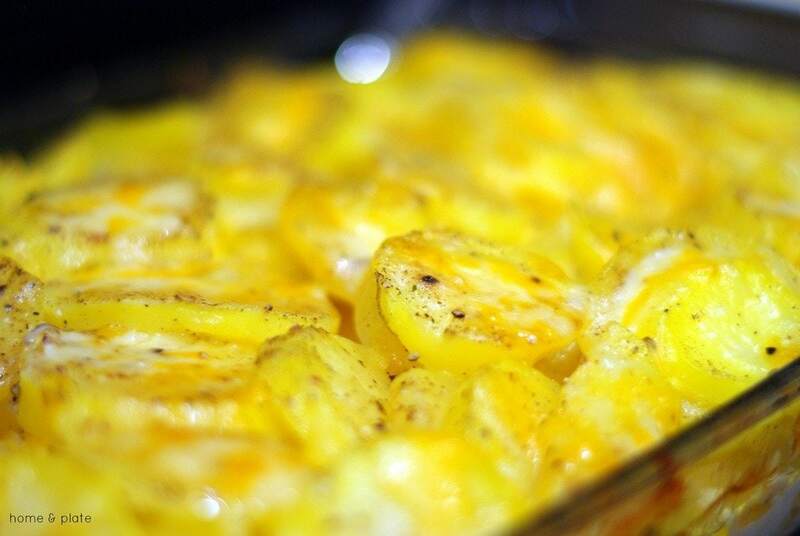 The scalloped potatoes can be prepared ahead of time and stored in the oven until ready to cook. Just let the dish come to room temperature before putting in the oven. 3 pound bag of Yukon Gold potatoes, peeled and sliced into 1/8-inch rounds. Preheat the oven to 350°F. On the stove top, place the potatoes, salt and garlic in a large pot and cover with water. Bring to a boil then reduce the heat to medium and cook for 8 to 10 minutes. Drain the potatoes and place half in a buttered dish. 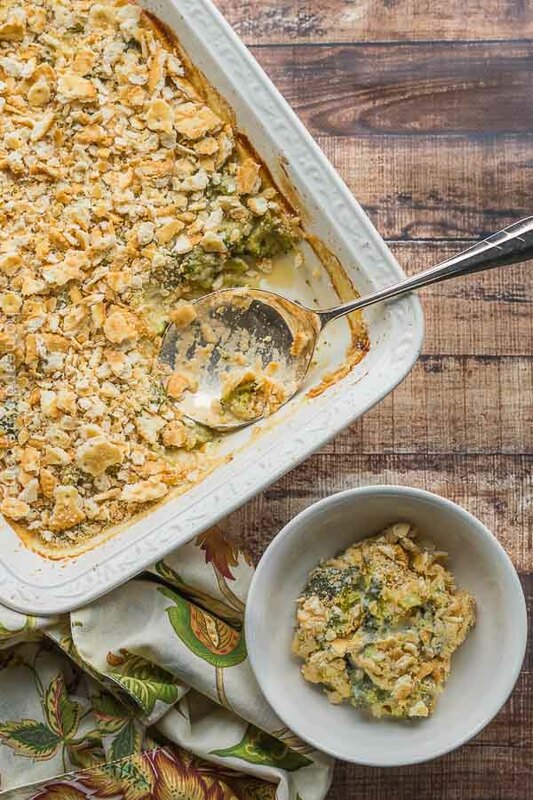 Cover the potatoes with 1/2 cup cream-milk mixture, a half cup of the cheddar cheese and one cup of the Gruyere cheese and sprinkle with salt, pepper and nutmeg. Then add the rest of the potatoes to the dish, the remaining 1/2 cup cream-milk mixture and sprinkle with pepper and nutmeg. Finally add the rest of cheddar and Gruyere cheese. Bake for an hour or until the cheese is bubbly and brown on top. Serves 10. Total time 1.5 hours. Love scalloped potatoes! These look awesome! Thank you. They are definitely a crowd pleaser. 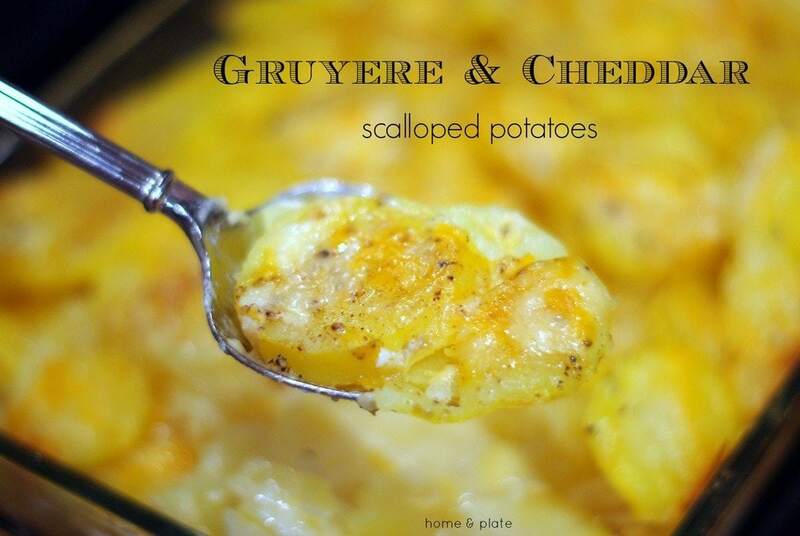 Flavored with gruyere and nutmeg, I can imagine how delicious and enjoyable this dish must be! It’s delicious with Gruyere and perfect for that special meal. Thanks for visiting.